The Centers for Disease Control has looked back at the data from a few years ago and now says the nasal spray is a valid option. "If you want to take the flu mist and you're within the appropriate age range, you can take it," said Dr. Anthony Fauci. 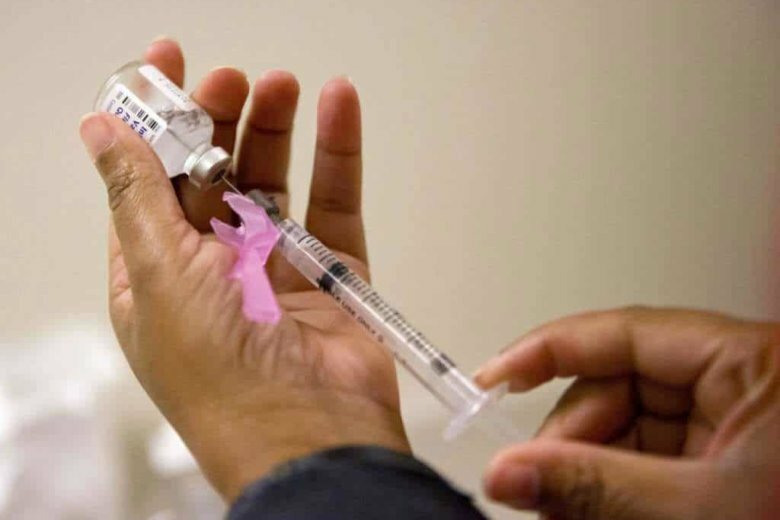 WASHINGTON — As the fall season approaches, health experts are reminding the public to protect themselves against the flu by getting vaccinated. But this year, some who squirm at the thought of a shot are able to opt in for a nasal spray instead. “If you want to take the flu mist and you’re within the appropriate age range, you can take it,” said Dr. Anthony Fauci, director of the National Institute of Allergy and Infectious Diseases. Fauci told WTOP that data from years ago show that the flu mist was not as effective at protecting against the H1N1 strain of the flu. But the Centers for Disease Control has looked back at the data and now says the nasal spray is a valid option. “[The CDC] doesn’t make any specific recommendation of the flu mist versus the injection,” Fauci said. The nasal spray that protects against the flu is only recommended for people ages 2 to 49 who are not pregnant. People with some medical conditions should not receive the spray flu vaccine, according to the CDC’s website. The CDC recommends that anyone 6 months of age or older should get vaccinated against the flu, particularly people in certain risk categories such as young children, older Americans, people who are immunocompromised and people with chronic conditions. “We had a very bad influenza season last year,” said Fauci.